Want to know why you need to start making marketing videos? It’s conversions. Conversions are answers to your call to action (CTA), such as “share”, “sign up”, “buy now”, and so forth. The fact is that video can increase conversions by over 80 percent when done correctly if you know your audience and product well. But there are many other reasons to use video too. Let’s look at a few. Even though it does take more time and costs a little more to produce video (especially if you outsource the work), the research shows that the return on investment is higher. As the technology gets simpler, the ROI is going to go up even more. If you want to build trust with your audience, look no further than marketing videos. Video content enables your audience to view your face, look you in the eye, and listen to the tone of your voice. All of which helps you to build trust with your audience. One reason that video is a traffic generator has to do with Google Search. Google likes video, and when you use video on your site you’re more likely to be shown in search results to your audience. Nothing beats video for explaining hard concepts, other than possibly in-person face-to-face interaction (and that’s questionable since you can’t replay it). Anything you want to show your audience can quickly be accomplished with video – whether it’s showing you talking, physically demonstrating something, presenting a slideshow, or sharing your desktop to explain something. Plus, because the right video will engage your audience, they’ll be more likely to respond to your calls to action. You really cannot beat video. And if you’re not doing it yet, don’t worry – you can do it. You probably think that you need thousands of dollars of equipment to do proper videos, but this is just not true. 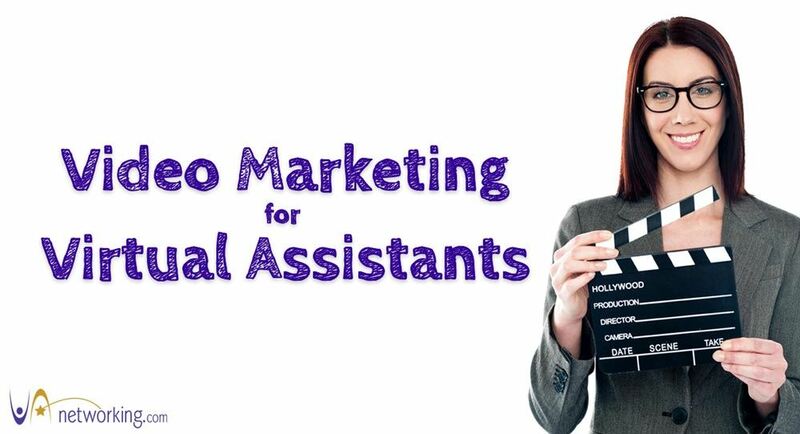 If you’re worried about doing videos because you think you don’t have the right technology, guess what: as a Virtual Assistant, you probably have most of the tools. Your Mobile Phone – If you have a newer smartphone (regardless of whether it’s an Apple product or an Android), you can create an amazing video with it that works fine for video marketing. Microphone – You do need to invest in an external mic for your device to help with getting the sound right. Each type of smartphone has its own accessories, so look for them where you bought your phone. The sound is imperative to making a good video. TIP: I use a Blue Yeti USB Microphone and totally love it! The sound from it is amazing. Good Lighting – The other thing you need is good lighting because if people cannot see you well, it’s going to make the video look low quality. You don’t have to invest in a lot of lighting to accomplish this. You can be strategic about using outdoor lighting or buy lighting that is extra bright for the room you plan to record in. Editing Software – Some computer systems already have some limiting editing included, and that is fine to make basic videos. If you need extra systems, look for native software for your operating system that’s already included, to find out if it gives you what you need. If not, and you want to be super-fancy, look at TechSmith’s Camtasia Studio for both Apple and Windows products. TIP: If you want an awesome training program to learn how to use Camtasia look no further than my friend Michelle Schoen’s Camtasia Learning Center where I learned how to use Camtasia. 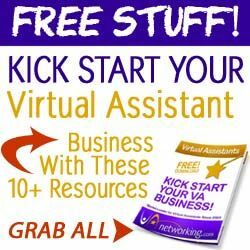 This is honestly all you really need to create amazing marketing videos for your Virtual Assistant business. You really don’t need to do much either. A great video doesn’t have to be perfect. It just needs to get to the point, and you need to see it and hear it. That’s it. Feel free to share your latest video with us in the comments section.